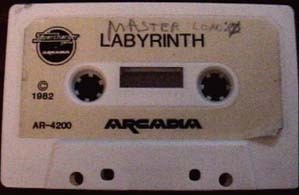 Before Starpath settled on a final name, Escape From the Mindmaster was originally known as Labyrinth. One of the earliest Starpath catalogs features Labyrinth on a list of future titles. This prototype only consists of one load, but seems fairly playable. 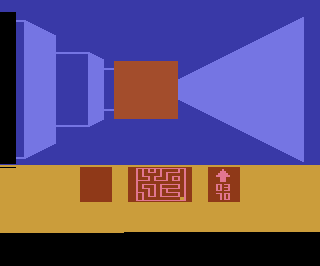 Labyrinth contains three seperate mazes, however the third maze is not complete so further progress is impossible. Although it may look like Escape From the Mindmaster, Labyrinth has several differences. The mazes are completely different. There is no Peg Puzzle to solve on each level. 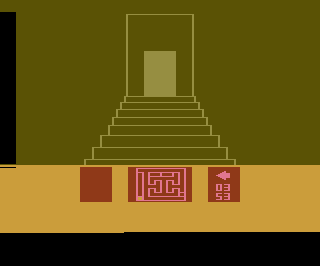 Instead the player must find a key to unlock the door to the next level. The timer counts down increadibly fast and rolls over. 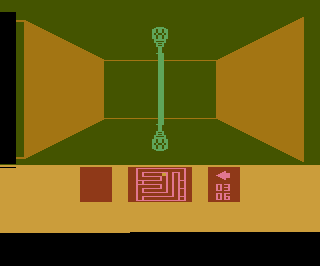 The Sliding Force Field appears on the first maze. There is a wrench item which can be picked up. There is a strange 'beam' which blocks passages. This beam can be destroyed with a wrench. The music is very different. There is no warning sound when the Alien Hunter is near. There are only three mazes. 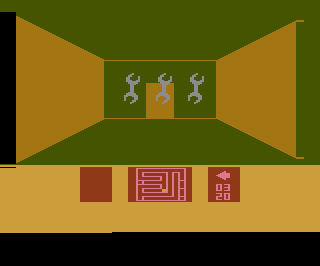 The third maze cannot be completed. The staircase screen between levels does not show the players score. 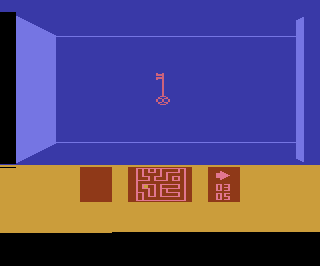 There is a 'false door' on the second maze which takes the player back to the start of the maze. If you do not have a key for the door you are trapped.